Computer Vision is an exciting field at the cutting edge of computer science. Recent advances mean that some computer vision techniques are now possible on mobile devices, opening the door for a host of innovative new apps and services. 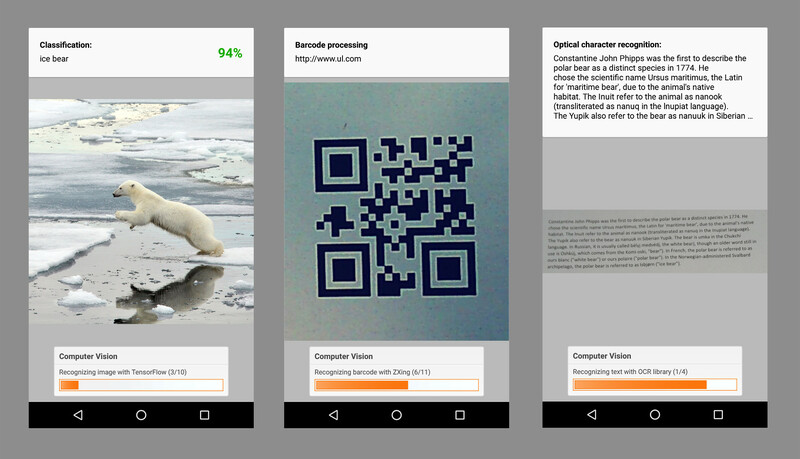 We couldn't be more proud to introduce the PCMark for Android Computer Vision benchmark for smartphones and tablets. This new test measures the performance of your device using tests based on popular open-source image recognition and machine learning libraries. In this test, a pre-trained neural network tries to identify the objects in a set of photos. This technique has many practical uses in mobile applications such as identifying and classifying images in photography apps, tagging people and places in social networking apps, and helping visually impaired people understand the world around them. The test uses a TensorFlow Inception model that has been trained with the ImageNet database. There's a lot of jargon here, so let's break it down. TensorFlow is an open-source machine learning library developed and supported by Google. Inception is a deep convolutional neural network architecture developed by Google for TensorFlow that is part of the current state of the art for computer image recognition. ImageNet is an academic data set containing thousands of images that is commonly used for training image recognition systems. The model is loaded into the memory of your device and tested with a set of images. The test measures the time the model takes to classify each image. There are dozens of barcode and QR code scanning apps. These helpful apps cut out the need to type long serial numbers and website addresses. This test uses ZXing, an open-source, multi-format barcode image processing library, to read a set of barcodes and QR codes. To make the test a better representation of real-world use, the codes have been photographed under poor lighting condition and some have simulated tearing damage. The test measures the time taken to recognize each barcode and QR code. Optical character recognition (OCR) is a technique for recognizing and extracting text from images. OCR has many practical and useful applications on mobile devices, from augmented reality translation apps like Google Translate, to document scanners and business card readers. Tesseract is an open-source optical character recognition library. This test uses a fork of Tesseract Tools for Android called tess-two. The test uses tess-two to recognize and extract English text from a set of images. The images tested have been photographed in poor lighting conditions to simulate the challenges of OCR in the real-world. The test measures the time taken to recognize and extract the text from each image. After running the Computer Vision benchmark, you get an overall score and a result for each subtest. You will also see a detailed hardware monitoring chart that shows how your device's CPU clock speed, temperature and battery level changed during the test. See how your device compares with the latest smartphones and tablets in the in-app Best Devices List. Tap any device to compare it side-by-side with your own device. You can also filter the list by searching for a specific model, brand, CPU, GPU or SoC. 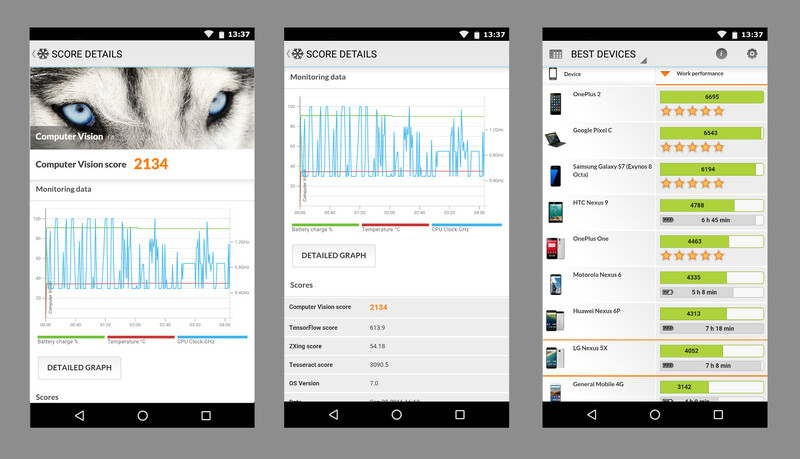 PCMark for Android is a free benchmark app available now from Google Play. The Computer Vision test will be available at 10:00 UTC on Thursday, October 13.